In densely populated areas, surface waters are affected by many sources of pollution. Besides classical pollutants like nutrients and organic matter that lead to eutrophication, micropollutants from various point- and non-point sources are getting more attention by water quality managers. For cost-effective management an integrated assessment is needed that takes into account all relevant pollutants and all sources of pollution within a catchment. Due to the difficulty of identifying and quantifying sources of pollution and the need for considering long-term changes in boundary conditions, typically substantial uncertainty exists about the consequences of potential management alternatives to improve surface water quality. We therefore need integrated assessment methods that are able to deal with multiple objectives and account for various sources of uncertainty. This paper aims to contribute to integrated, prospective water management by combining a) multi-criteria decision support methods to structure the decision process and quantify preferences, b) integrated water quality modelling to predict consequences of management alternatives accounting for uncertainty, and c) scenario planning to consider uncertainty from potential future climate and socio-economic developments, to evaluate the future cost-effectiveness of water quality management alternatives at the catchment scale. It aims to demonstrate the usefulness of multi-attribute value functions for water quality assessment to i) propagate uncertainties throughout the entire assessment procedure, ii) facilitate the aggregation of multiple objectives while avoiding discretization errors when using categories for sub-objectives, iii) transparently communicate the results. We show how to use such multi-attribute value functions for model-based decision support in water quality management. 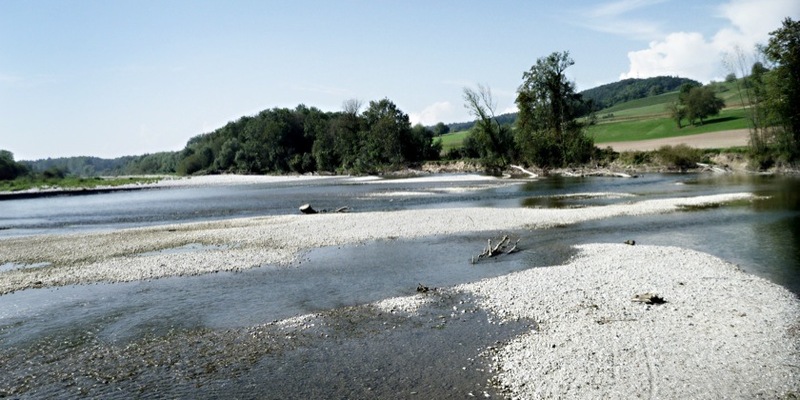 We showcase the procedure for the Mönchaltorfer Aa catchment on the Swiss Plateau. We evaluate ten different water quality management alternatives, including current practice, that tackle macro- and micropollutants from a wide spectrum of agricultural and urban sources. We evaluate costs and water quality effects of the alternatives under four different socio-economic scenarios for the horizon 2050 under present and future climate projections and visualize their uncertainty. While the performance of alternatives is catchment specific, the methods can be transferred to other places and other management situations. Results confirm the need for cross-sectoral coordination of different management actions and interdisciplinary collaboration to support the development of prospective strategies to improve water quality. Increasing demand for food is driving a worldwidetrend of agricultural input intensification. However, there is nocomprehensive knowledge about the interrelations betweenpotential yield gains and environmental trade-offs that wouldenable the identification of regions where input-driven intensificationcould achieve higher yields, yet with minimal environmentalimpacts. We explore ways of enhancing global yields, while avoidingsignificant nitrogen (N) emissions (Ne) by exploring a range of Nand irrigation management scenarios. The simulated responses ofyields and Ne to increased N inputs (Nin) and irrigation show highspatial variations due to differences in current agricultural inputsand agro-climatic conditions. Nitrogen use efficiency (NUE) ofyield gains is negatively correlated with incremental Ne due to Nin additions. Avoiding further intensification in regions wherehigh fractions of climatic yield potentials, ≥ 80%, are already achieved is key to maintain good NUE. Depending on theintensification scenarios, relative increases in Ne could be reduced by 0.3−29.6% of the baseline Ne with this intensificationstrategy as compared to indiscriminate further intensification, at the cost of a loss of yield increases by 0.2−16.7% of the baselineyields. In addition, irrigation water requirements and Nin would dramatically decrease by considering this intensificationstrategy. This study investigates Bayesian signature-domain inference of hydrological models usingApproximate Bayesian Computation (ABC) algorithms, and compares it to ‘‘traditional’’ time-domain inference.Our focus is on the quantification of predictive uncertainty in the streamflow time series and onunderstanding the information content of particular combinations of signatures. A combination of syntheticand real data experiments using conceptual rainfall-runoff models is employed. Synthetic experiments demonstrate:(i) the general consistency of signature and time-domain inferences, (ii) the ability to estimatestreamflow error model parameters (reliably quantify streamflow uncertainty) even when calibrating in thesignature domain, and (iii) the potential robustness of signature-domain inference when the (probabilistic)hydrological model is misspecified (e.g., by unaccounted timing errors). The experiments also suggest limitationsof the signature-domain approach in terms of information loss when general (nonsufficient) statisticsare used, and increased computational costs incurred by the ABC implementation. Real data experimentsconfirm the viability of Bayesian signature-domain inference and its general consistency with time-domaininference in terms of predictive uncertainty quantification. In addition, we demonstrate the utility of theflashiness index for the estimation of streamflow error parameters, and show that signatures based on theFlow Duration Curve alone are insufficient to calibrate parameters controlling streamflow dynamics. Overall,the study further establishes signature-domain inference (implemented using ABC) as a promising methodfor comparing the information content of hydrological signatures, for prediction under data-scarce conditions,and, under certain circumstances, for mitigating the impact of deficiencies in the formulation of thepredictive model. Kalibrierung stochastischer Regen-Abflussmodelle mit Hilfe von Skalengesetzen für verbesserte Prognosen von Extremereignissen. Entwicklung eines dynamischen Modells um Wasser und damit zusammenhängende Energieflüsse in Funktion der Zeit zu simulieren.